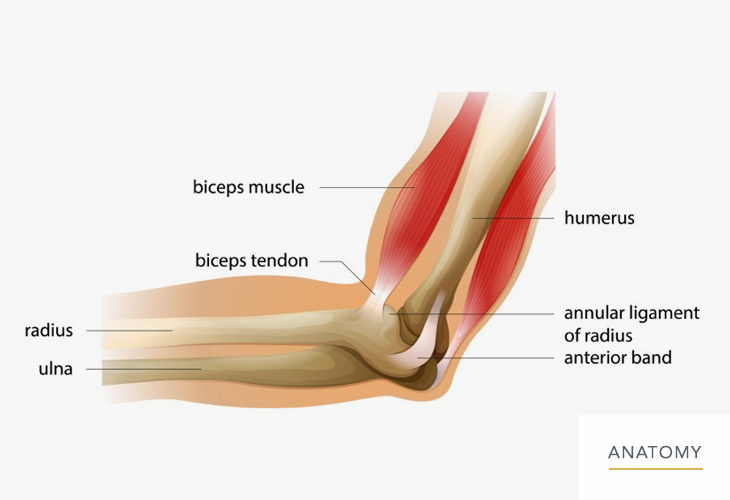 The elbow is a hinged joint made up of three bones, the humerus, ulna, and radius. The ends of the bones are covered with cartilage. Cartilage has a rubbery consistency that allows the joints to slide easily against one another and absorb shock. The bones are held together with ligaments that form the joint capsule. The joint capsule is a fluid filled sac that surrounds and lubricates the joint.